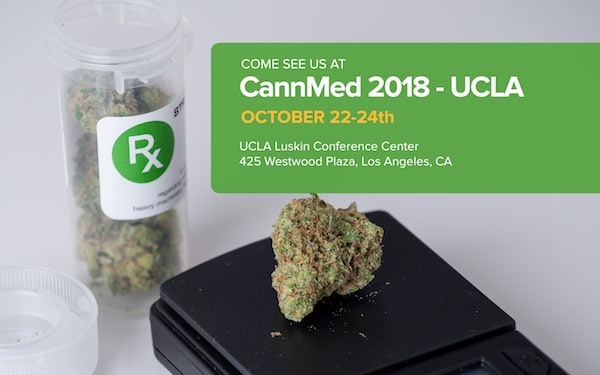 Planning to attend CannMed 2018 later this month in Los Angeles? Stop by and visit the AEssenseGrows team to learn how precision aeroponics can help you develop highly differentiated medical cannabis products. Presented by Medicinal Genomics and Dash, the show runs Oct. 22-24 at the UCLA Luskin Conference Center. You can buy tickers here. The precision automation of the AEssenseGrows system grants indoor farmers near-total control over all the key elements needed for a successful, fast-growing yield. This control enables consistent results and much easier and reliable A/B testing. AEssenseGrows will demonstrate its AEtrium system, which includes the Guardian Grow Manager, a central management system that lets users monitor and adjust grow environment variables 24/7 from their laptops or smartphones.